HULK’S TV TALK: DOWNTON ABBEY 2.06 – FILM CRIT HULK! HULK BLOG! HULK CHECKS IN WITH THE LATEST EPISODE OF DOWNTON ABBEY AND DIAGNOSES JUST WHAT IN THE SAM HELL IS GOING WRONG WITH THIS WONDERFUL SHOW! Next Post BANNER TALKS OSCARS! In the preview, the Earl rushes down a hallway saying, “Everyone! Come quickly!” I asked my fellow viewers, “They’re all going to witness Matthew’s erection, right? ‘Upright as curved flagpole…well done, my boy. Well done. '” They agreed. 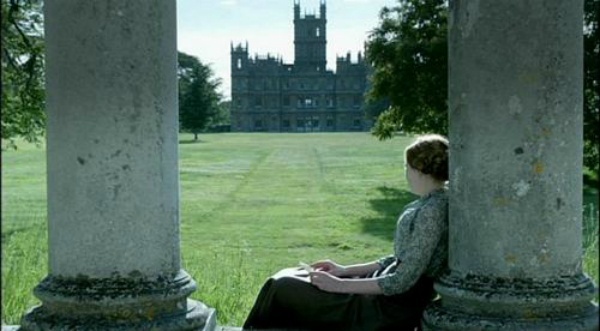 The minute Matthew steps out of that wheelchair, I’m pretty sure I’m done with “Downton Abbey”. I’m not sticking around until they start revealing evil twins. We got fake handicap, false alarm amnesia, and murder most foul within two weeks. Reversals upon reversals–this is not high melodrama; it is campy soap. Diegetically, it’s six years since the show began: Why are Daisy and Sybil still children? Being generous, they’ve lived a quarter of their lives in the time we’ve known them with little learned or matured. Anyway, I love it, but I’m not waiting for this ship to sink. I’m abandoning with the rats. I walk with Matthew.